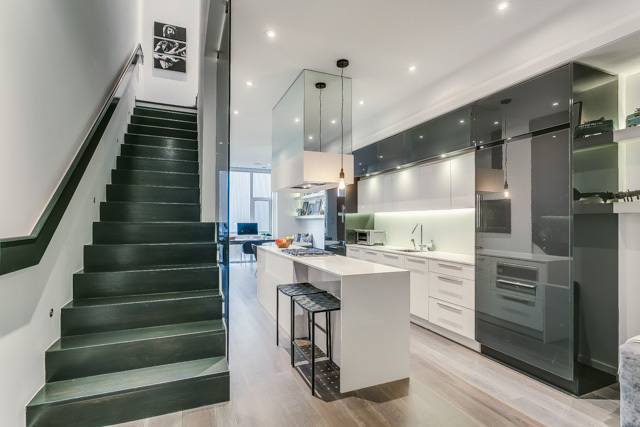 When you are looking for that super chic/ stylish space and you walk through the front door and feel like you have stepped into “the home” you have been dreaming about..welcome to #14 at 850 Richmond Street West and allow that dream to become a reality! 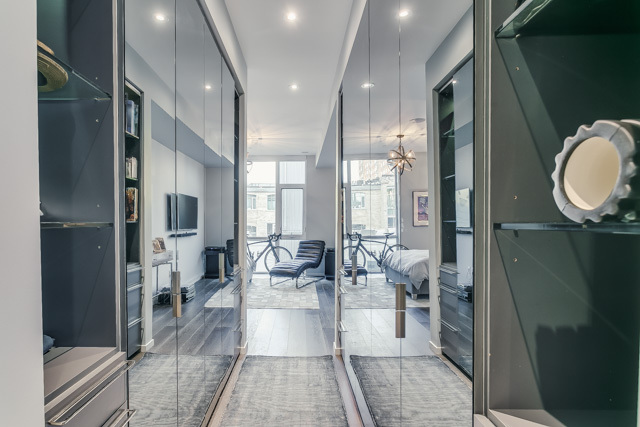 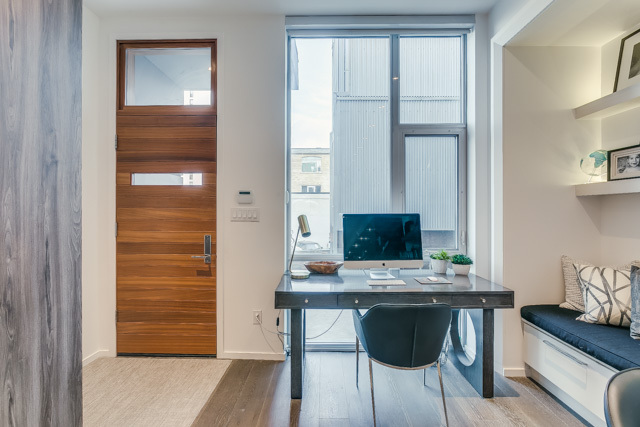 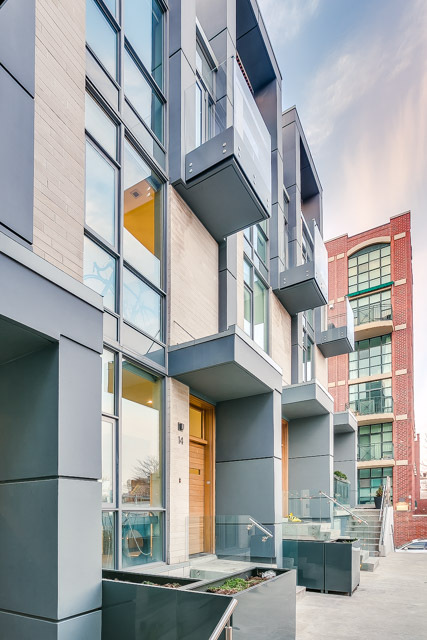 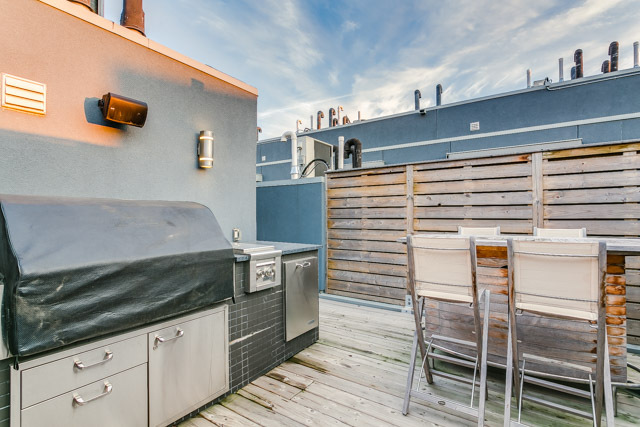 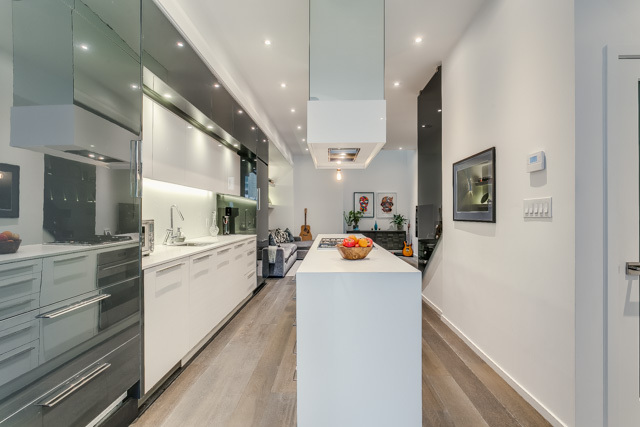 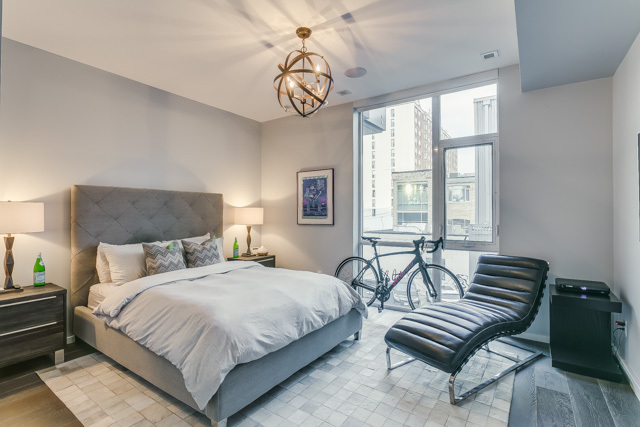 If the Trinity Bellwoods location wasn’t perfect enough, the unit itself will blow you away! 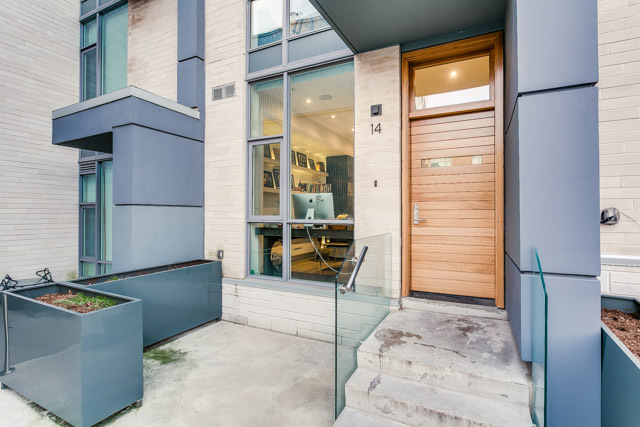 Step into this custom designed 3 bedroom, 3 bathroom townhouse in the heart of Queen West and do your best not to settle into the furniture as if it were your own! 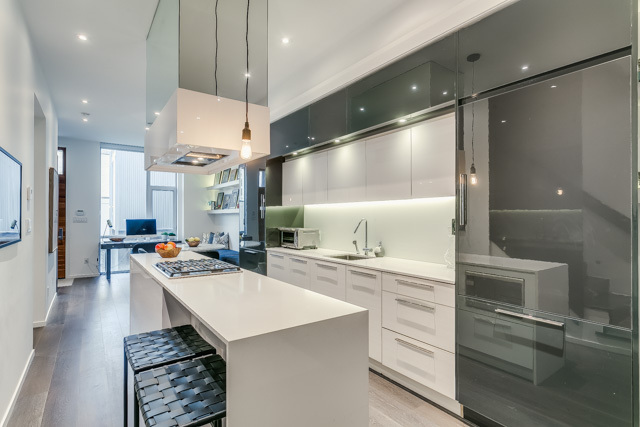 The light infused main floor features a spectacular clean lined kitchen built for the ultimate chef and dinner party guests. 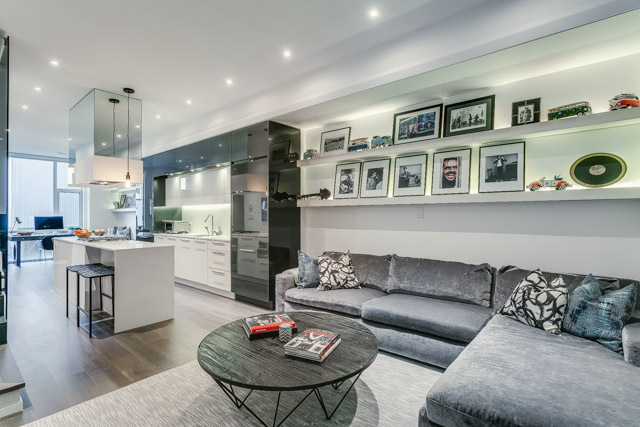 A most cosy living room awaiting many movie nights, and a dining area that transcends from breakfast to dinner without skipping a beat! 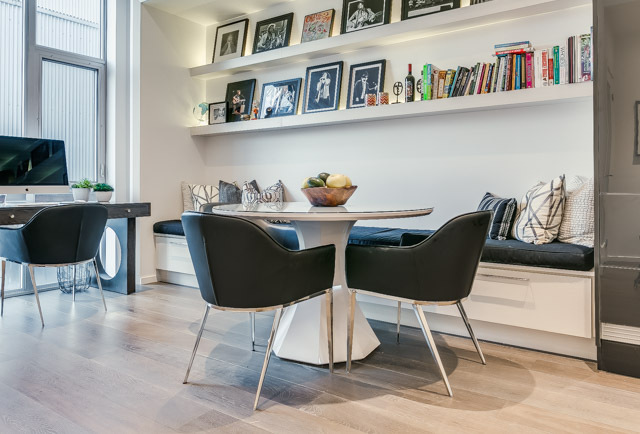 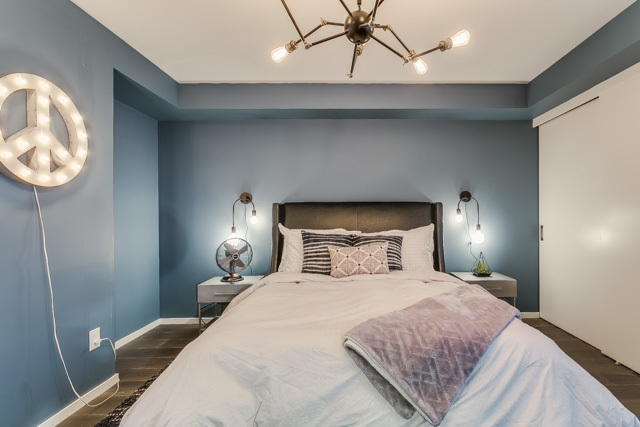 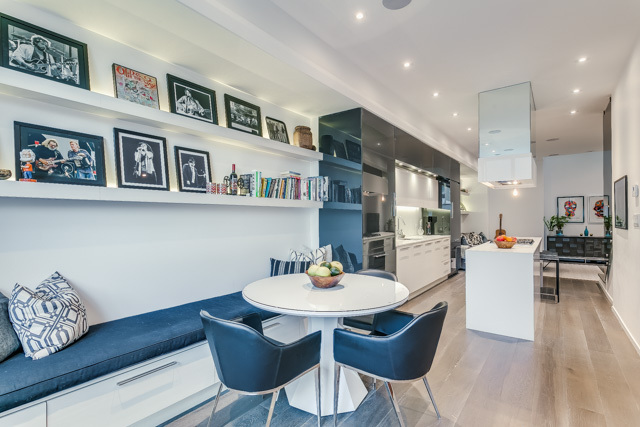 This townhouse was beautifully designed by Tara Fingold Interiors making use of every bit of space and creating an environment that works for families, couples and singles alike! 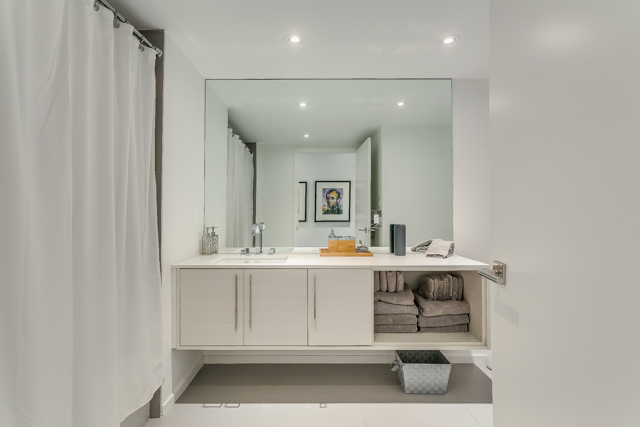 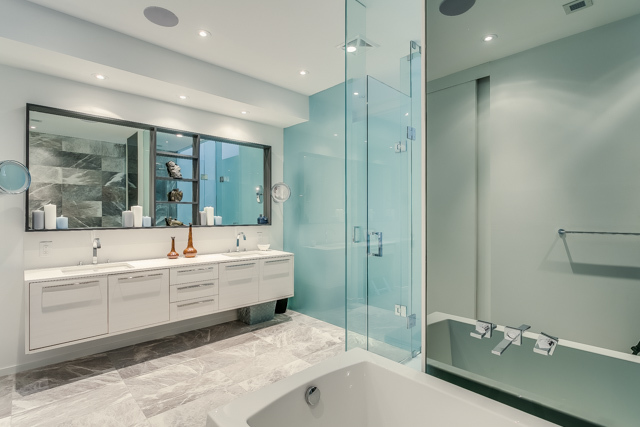 The unique Master Suite is is the ultimate retreat, with its spa inspired 5 piece bathroom and walk in closet fit for Toronto’s best dressed. 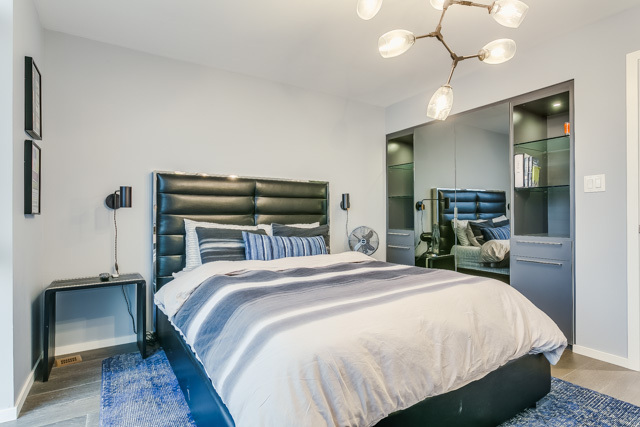 Spacious and proportionate bedroom sizes, complete this well planned home, and that is just the interior! 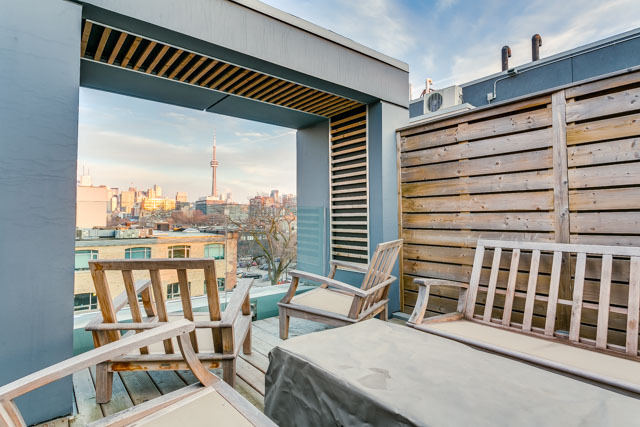 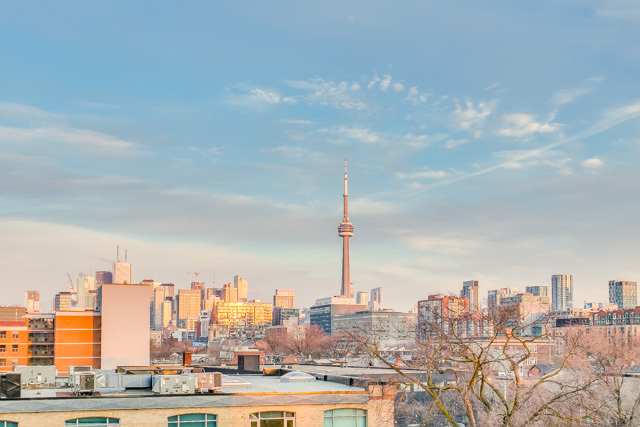 The icing on the cake..your private terrace spanning the length of the unit and showing off Toronto’s cityscape, including the most spectacular view of the CN Tower. 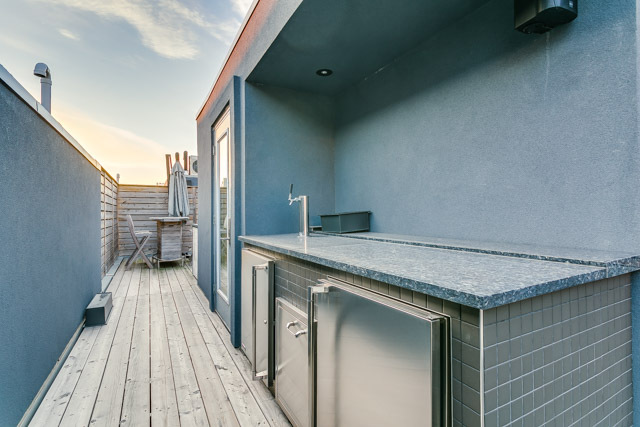 Summer nights were meant to be spent on this terrace, with built a in BBQ, mini kitchen and draft tap for bottomless beer! 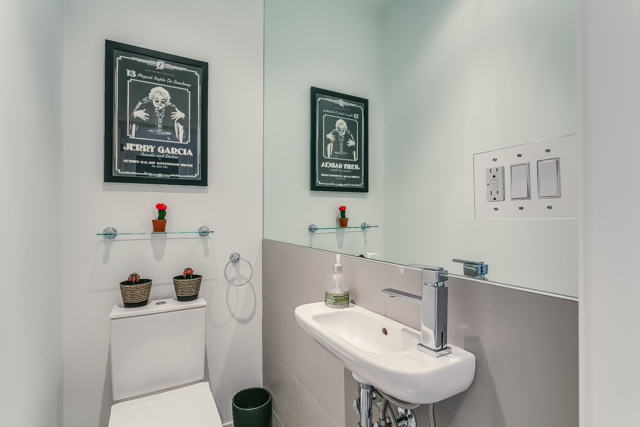 Just be careful, your friends may never leave!